1. Cook black rice (1 cup rice: 2 cups water) in rice cooker for 30 minutes. 2. In a pan, mix oil and butter until melted. 3. Sauté garlic and white onion. Add a pinch of salt. 4. Add vegetable and pineapple tidbits. Stir well. 5. 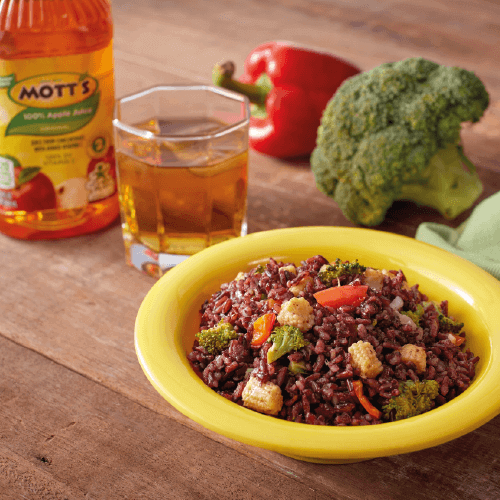 Add black rice. Mix well. 6. 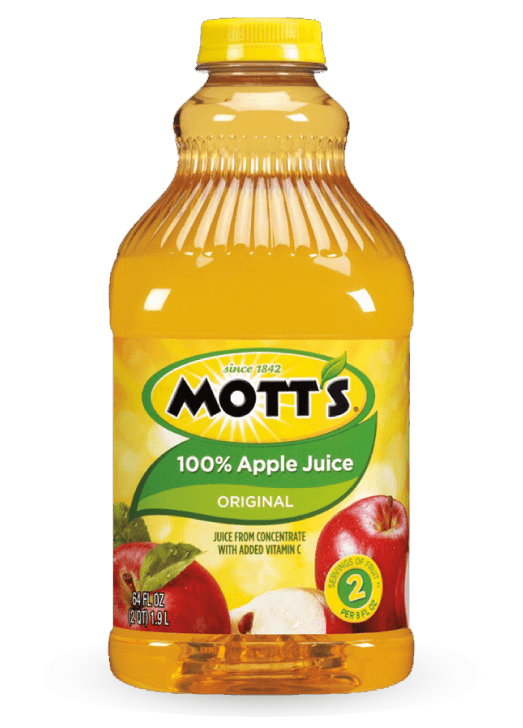 Add Mott’s 100% Apple Juice and salt. Mix Well. Your web browser may have a setting that allows you to transmit a “Do Not Track” signal when you visit various websites or online services. The Sites, like many other websites, are not designed to respond to “Do Not Track” signals received from browsers. To learn more about “Do Not Track” signals, you may wish to visit http://www.allaboutdnt.com. You may wish to visit: http://www.networkadvertising.org/managing/opt_out.asp which provides information regarding the opt-out procedures of certain third party ad servers we may use. 1. CONDITIONAL USE OF THIS SITE. 2. RIGHTS; RESPONSIBILITIES; AND GENERAL RESTRICTIONS. 3. OWNERSHIP OF MATERIAL YOU SEND. discard, remove, and/or disable or deactivate any or all of your submissions or materials and data that you (and/or anyone else) sent to the Site, and/or discontinue the Site or any parts thereof.